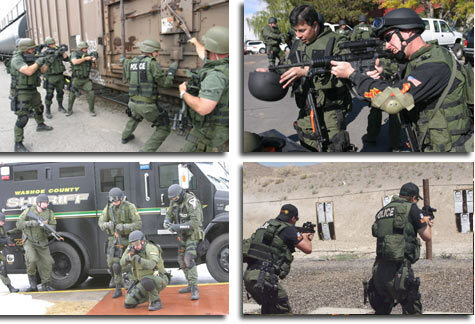 The Sheriff's Office Special Weapons and Tactics Team (SWAT) is a corps of highly-trained personnel used in support of operations throughout the Sheriff's Office. SWAT personnel routinely respond to situations such as barricaded subjects, entry into high risk locations, and other situations that require such tactical support. 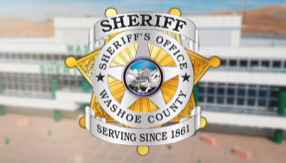 The SWAT Team has been deployed to remote locations within Nevada to assist various other agencies, Federal as well as local. The team members utilize a variety of new technology and weapons for the varied tactical encounters they face. SWAT conducts local and regional demonstrations of personnel and equipment regularly in addition to training twice a month.